She takes the crying baby into her arms, turns her back on the hysterical mother, and walks off into the night. If she's caught, she and the baby will die. "Promise me my child will live!" the mother cries desperately after her. She turns for a moment. "I can't promise that. But I can promise that if he stays with you, he will die." She listed the names of every rescued child and buried the lists in a jar, hoping that the children could be reunited with their families after the war. Mrs. Sendler was a senior administrator in the Warsaw Social Welfare Department, which was in charge of soup kitchens, located in every district of the city. They distributed meals and gave financial assistance and other services to the poor, elderly, and orphans. From 1939–1942, she was involved in acquiring forged documents, registering many Jews under Christian names so they could receive these services; she listed them all as typhus and tuberculosis victims, to avoid any investigations. Irena decided that the most that could be done was to try to save the children. She stresses that the goal was not to convert people to Catholicism, but rather to save lives. In an interview earlier this year with ABC News, Mrs. Sendler voiced some of her frustrations about how little anything has changed in the world: "After the Second World War it seemed that humanity understood something, and that nothing like that would happen again," Sendler said. "Humanity has understood nothing. Religious, tribal, national wars continue. The world continues to be in a sea of blood." But she added, "The world can be better, if there's love, tolerance, and humility." Irena Sendler died on May 12, 2008. In April 2009 her story was aired in a television film, "The Courageous Heart of Irena Sendler." Irena never backed down from helping save the children, even after she was tortured by the Nazis, Yimach Shemam Vi'zicram. She felt that she did not do enough. We should only have the mazel she had, to save even one person. She had no fear and kept doing what she knew was right. Having the upbringing she had was what molded her into the person she became, as was taught not to hate anyone. We can learn a lot from her compassion, kindness and righteousness, to go "beyond the letter of the law" to do what she did, when she was not obligated to do so. She is now enjoying eternal life in the Next World as one of the Righteous of The Nations. I can only hope to merit it by doing and living according to the ratzon of Hashem and The Torah! It makes me wonder when reading all these amazing stories of non-Jews saving Jews in The Holocaust, whether they were actually Jews, but never knew. Only Hashem know. These amazing acts of chesed, will most definitely put them in the best place in Olam Haba, whether if they were righteous non-Jews or Jews. A true hero. A brave woman who acted selflessly and with the knowledge that she could die as a result of her actions. May her soul rest in peace for all eternity. She is truly a light unto the nations. This is one of the most beautiful, touching, magnificent stories of courage I have ever read. With evil and despair, and the threat of her own death everywhere she turned, she could have easily done nothing. Instead, she very much gave her life for the innocent children. I have recently discovered that much of my family is Jewish (russian and hungarian jew), and I have been playing 'catch up' to try to figure out where I really came from. God Bless this beautiful woman. What happened to her children? Are they all going strong? Does anyone know if they honored her? My soul has been touched. I only came across this story by chance,my brother in law shared it on my Facebook.I am totally blown away by the story of Irena Sendler...My gratitude is immense,I kneel with humility and I am humbled by her acts.If we try and imagine if we can the super human feats of bravery and courage carried out by this Lady, truly phenomenal and must have been sent by God.To be honest words are not enough to thank this dearly departed soul,I am certain she is in paradise were she belongs,with her soft and gentle face being warmed by the love that radiates from all the children she saved...As a non Jewish person am I allowed to say she is of course a truly righteous person and may God bless her for all eternity...In a world of darkness and evil,we need heroes such as this lady to salvage our humanity and to offer us hope for the future..I will share your story and thank you for this well written article,I was compelled to leave a comment. I, too, came across this because someone posted a little blurb about Irena on facebook...and all I could say was wow...I needed to find out more...what a remarkable woman! I have always seen God in people as god has no other place except the heart to stand as statue.Mrs Irena Sendler had crushed Adolf Hitler and Nazi to dust with her angelic effort to rescue 2500 Jewish children, I scream in my dream as a dying jew in the gas chamber and the angel lady Mrs Irena Sendler rests in my heart as an Almighty. RIP to Mrs Irena Sendler. Irena Sendler is very strong and a courageous lady who saved 2,500 Jewish Little children. I want to be a life changer and be like the most powerful Irena Sendler. I thank her for all she has done and participated to save the jewish kids.Last year when I watched the movie Courageous Heart, my heart was filled with joy, because I never knew someone like her would be a great and almighty leader. God Bless her family and friends. !!! Such a woman!! Her Father must have looked down upon her with pride.She saved lives not by swimming but by risking her life and their's by saving 2500 lives. It amazes me that global warming and ACORN (?) were considered more noble than her quest. Her belief in mankind as a Catholic shows pure love that she would save Jewish children at that time. Her picture shows a wonderful smile of a woman who the Nazi's were unable to quelch her spirit of human kindness. if you read the records of the crusaids youll see that people would kill their children rather than them becoming a christian jewish law demands one to give up their life rather then kiss the cross if hundreds upon hundreds of yiddishe children became chriachin (wich is wors then death)becuase of her i dont think thats a merit but as the sages teach us a sin dosnt cancel out a merit kol hakavod for the jews who she saived lichaim! I read she did not intend to convert anyone and she those who risked their own families lives to save these children would return them to Jewish relatives later. I think God knows her heart was pure. God is bigger than man's ability to understand. Irena Sandler, a wonderful heart touching story, not many word's to even express what God achieved through this brave women. Amazing example. Praise God for such people of God. What an incredibly brave person Irena was - I had never heard of her until I saw the film "The Corageous Heart of Irena Sendler"
A lady who would never have known such courage! I am overcome by this, then, young lady's courage. May all the families to whom their lives are owed, thank God for such a courage lady. AND, may the world thank God for people such as her! RIP to a true DIAMOND! what an inspiring story of a woman's courage in a truly horrendous climate. womens history is slow to come to the history books, but as always, has such an impact !!!!! unsung heroes all of them.. I just saw the movie today and i will always remember what Irena did. Everyone must see that movie! My husband and I just watched The Courageous Heart of Irena Sendler (2010). Well worth watching. I nwas looking for something interesting to state in my speech when i saw this site. Ica'nt beleive how brave you are, my mum and I are amazed!!! There is no greater love then to sacrifice oneself for another. Truley an amazing women of God. This story reminds us that there is something amazing and eternal in the gift she gave these children and there future generations to come. What an inspiration to live by. this story makes me cry. but the Couragous Heart of Irena Sendler makes my ball my eyes out! BEST MOVIE & STORY EVER! I'm Jewish and it was nice to read about something positive done during this horrible time in History. I was born in 1940 and was five when the war ended. It's unfortunate that people can't respect other people's differences. Today we are still fighting intolerance. Heroes like Irene Sendler should be honored and remembered. Thank you for your wonderful article. I would like bring to readers and the author attention a couple of sentences in this article that are not entirely true, a bit unfair and based on incorrect information, and therefore misleading and painting false picture of Polish people during German occupation (1939-1945). The author should have done better historical research before claiming that "Many Poles were quick to side with the Nazis. " and before stating that "The penalty of death to every family found harboring a Jew was not always enforced, but some 700 people were killed because of it. " Based on thorough historical data there were at least 50, 000 Poles who were killed because they were one way or the other Jews during the occupation of Poland. And yes, death penalty was carried out in 99% cases and it affected not only family members, but usually the whole neighbourhood as well. (I can tell many horrific stories that my mother and her family experienced while Germans were searching for Jewish man hidden in one of the neighbouring apartments. Also, my beloved godmother has been rescued from the Warsaw Ghetto as a baby - only we KNOW what her foster mother (my aunt) had to go through risking lives of her own children to save little Jewish girl.) I can provide data and sources to prove my point. Please be more careful and do more research when writing about such horrific and very touchy subject. she was a brave women to do that i am proud for her. Recognized by Yad Vashem as one of the Righteous among the Nations, Irena epitomized compassion, love, kindness and sacrifice. Moreover, whenever she was bestowed with an honour or recognition for her spectacularly noble efforts and accomplishments, she expressed genuine humility and modesty, even so far as remorse, in believing she could have saved more children if she had tried to. In all of human history, one would struggle to find a heroine of such magnitude, who emodied such gentleness and modesty. Irena shone like an angel in the terrible, tragic darkness of the Holocaust. god bless this beautiful person,she helped so many children. Irena's father must have been a wonderful person to instill in her to love and respect our our fellow man especially the jewish people . This had an impact on her and drove her to do whatever she should to help .Let this be an example for us all. to love one another and treat others as we would want them to treat us .without trying to change them , May the memory of Irena live on with all the others who showed love and compassion for others in need . I can only pray for the courage and love that this woman had. She is a hero and should be remembered all throughout history. This woman was motivated only by love for her fellow human beings. She has pride of place next to her Maker in heaven. An inspiring story of courage and selflessness which should be read by thousands. God Bless her and those of like mind! The Red Cross can help trace those who were affected by the atrocities of World War II (i.e. the Holocaust). If you are trying to locate family members, please contact the Red Cross chapter nearest you for more information. Please note - the Red Cross will allow you to search on behalf of a family member who is a survivor and who is still alive. But if it looks like the inquirer did not personally know the victim and is not searching on behalf of a survivor who is still alive, it is likely that the Red Cross will not accept the case. It does not cost anything for this service, and it does not always turn up any answers. My father, a survivor, always told me of the rightous Poles. I am glad to see that a mainstream program could relay that message, along with other messages, that not all Poland was so horrible. Irena Sendler is truly an inspiration. I applaud Hallmark for sharing her story. My husband's parents are holocaust survivors and sadly are deceased. Today my husband's Uncle shared how at twelve years of age he was caught in an attempt to escape the Warsaw Ghetto and survived numerous concentration camps and was finally liberated on the death march. The first concentration camp he was in only 41 survived of the 1500 sent there. 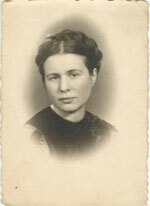 You can find more info online about Irena Sendler. Google "The Irena Sendler Project" or "Life in a Jar"and you will find the website with photos, the story about the students who produce the play. You will find some info about some of the children Irena saved. Is there a list of the children? My grandfather's entire extended family was in the Warsaw ghetto, no one survived as far as we know. Is there a list available of children and the people who saved them? Maybe someone from my family is still alive. I was SO touched by the Hallmark Hall of Fame movie about Irena Sendler. Does anyone know if her good friends' daughter, Karolyna Rozenfeld is still alive? She was the little Jewish girl who wanted to be a ballerina. And, does anyone know if Karolyna's parents survived the Holocaust? I just saw the movie on Hallmark and it's amazing that one woman did so much during a horrific time. Her story is truly inspiring. A remarkable story about an even more remarkable woman. I am watching the Hallmark movie about her life now and I am moved by her courage and her will to aid the Jewish children during the Nazi occupation of Poland. She was a true heroine. It WILL be on TV -- TONIGHT! This was made into a movie, "The Courageous Heart of Irena Sendler," and it's first airing tonight on CBS. oh my gosh!!! what an amazing lady! i'm sure that she has a special place for her in the world to come! asa a surgeon i can tell you we are all the same color inside and all one family. i hope some day we come to accept this knowing that we all have the same parents and that it is time to come together and be the family we were meant to be and see that our differences are for recognition and not separation and violence. The Hallmark movie, "The Courageous Heart of Irena Sendler," will be shown on CBS on Sunday, April 19, 2009 at 9:00 PM. These movies are also usually available for purchase at the Hallmark website. I had never heard of this woman until this day. The story of Irena Sendler should be made known through out the media. Hollywood, this is an amazing woman whose story needs to be told to the nations. Let's promote the heroes of our times. Thank you, Irena for your impact on the lives of so many. Irene is a valuable ROLE model for each of us. We need to know about people with her selfless values, so that we can emulate them in meeting our own daily challenges. We need to know that we are not alone in our pursuit of care for others weaker and less fortunate than ourselves. I wish the closing quote were not true ~ we each need to work to change that outcome. Working together we can do that, if we take care of each other as ourselves. I have only recently learned of Mrs. Sendler, and of her death. As a mother, and teacher, I am disappointed that I had not known of this woman's life before now. When searching my heart and mind for examples of strength, love, faith, and courage- I now have Irena Sendler. For this, I am thankful. Without knowing them, I am proud of the high-school students' who helped shine a light where it was needed. I wish as many people could see their play as have attended the premier of the Batman movie. If this ever is published as a book I certainly would want a copy. What a beautiful account. I heard on TV yesterday that Irena had died, I went back to this article expecting to find it was already in book form. Blessings to all who endured this horrible nightmare. Although Al Gore won the Nobel Peace Prize, this dear lady''s reward is far greater than anything man can give her. Irena was a blessing to us all and she will never be forgotten. She was humble and self sacrificing, a true servant of God. May we all try each day to live our lives the way she always did by serving others before ourselves. I only wish she would have won the Nobel Peace Prize last year instead of Al Gore. Not that she even wanted or expected it but that she was more than deserving of it. We can never forget these true heroes of our past and our future generations need to know their stories. Irena Sendler is without a doubt the most honourable and brave and moral human I have heard about in my 66 years of life. I am moved to tears by her existence and her gift to this world of ours. In my belief, one''s immortality is in the deeds in this, our life and it is like ripples in an infinite lake that move out from our lives and lap ever so slightly that distant shore and carry with it the goodness that each of us must add to this life. Each of us can take from this incredible and modest woman a tiny morsel of her extraordinary love and immense bravery and nourish ourselves and our children and in so doing perhaps we ourselves can make a tiny improvement in this world as a way of thanking Irena. I feel she would be happy if her story made others do what is right in this world. She clearly did not want attention and recognition. She is forever my heroine. I know your comment was a while ago but I was just reading this article and saw your comment. I checked facebook just for the fun of it and it says there is a Hannah Blachman in Israel. I don''t know if this helps, but I hope. I read this beautiful poem titled "Names in a Jar" by Michael Shorb. It is about Irena Sendler and her heroic deeds. I heard Irina has died. I heard this morning at 7 a.m. (Tuesday Eastern Australian Standard time) on the ABC News that Irina has died. Unfortunately, I cannot give any links. This lady was truly courageous. Most importantly, Mrs. Sendlerowa is a hero...thank you for putting your life in harm''s way to save the lives of so many of God''s children. As an aside, to Chief and Anonymous (that says a lot! ): you should brush up on your history lessons!! Poland was home to the largest Jewish population in Europe and served as a center for Jewish culture, with a long period of religious tolerance and prosperity among the country''s Jewish population. From the 11th century, when the Kingdom of Poland was founded, through the early years of the Polish-Lithuanian Commonwealth (created in 1569), Poland was one of the most tolerant countries in Europe. For centuries Poland was unique shelter for those Jews persecuted and expelled from other European communities. Polin, as Poland is called in Yiddish, means ''Here shalt thou lodge'' in the exile from the Land of Israel. It was only in 1795, after the partitions and the destruction of Poland as a sovereign state, that Polish Jews were subject to the laws of the partitioning powers, primarily the anti-Semitic Russian Empire, and also Austro-Hungary and Prussian/German Empire. But as Poland regained its independence in the 20th century, right before WW II, it was still the center of the European Jewish world with a Jewish community of over 3 million, one of the largest in the world! So perhaps it is you who should read a history book before you speak! Rest In Peace dear Irena. Rest in Peace Irena, you were a blessing in a time of hatred and death. thank you so much for this article. I guess the only way to explain it is that Irena Sendler was a walking miracle. I cant believe the story i just read. I have been doing reports upon reports about when Adolf Hilter came into power and i never heard of this ladys story and i must say i've cried twice. To know that a woman can put hersalf in danger to save lives of children. You have my respect and i hope your story gets reconized more. if your still alive i would love to meet you!!!! What Chief said is true; it does not reflect ignorance in any way. Why do you object to the truth? The Poles do have a long, long history of anti-semitism. Perhaps you should read a history book before you accuse someone of 'dirty commments'. To "Chief", who posted a note on 12/12/2007: your comment only reflects your deep ignorance. Refrain from such dirty comments, and go face your own dirty history. I can't believe that one woman could save that many children when she herself was wanted. I hope more people can learn about her and not just bury her in obscurity. It wasn't just Poland with camps. The interment camps in the US were lesser versions of the Nazi death camps. Of course Irena is a true hero, a woman of conviction, courage and strength. Unfortunately, for every Irena that lived in pre WWII Poland there were many others who would sell a Jew for a bottle of vodka and a loaf of bread. Only in Poland, a country with a long history of anti-semitism, could the death camps of Treblinka and others exist. i am not of the jewish faith, but my grand mother and father are, my grandmother once told me she ran from the gastapo during the second world war, like jolanta she tried to help who ever she could often going to great personal peril to accomplish this, i thank god that there are people in this world who have the courage to stand up for their beliefs and not let another tread upon it!!! i have read alot about the struggle of the jews in that time and shindlers list had me in awe, i cant imagin the courage and resilliance that these people needed to complete such a task, im really glad they did. im nto glad of the attrocities that came before and after the wars break out only glad that some of those people are still alive to show that humanity has some good in it and during times of ned even the most unlily person can help the vunerable and unsure!!! thank you all for allowing us all to live in a free world!!! Now she is what is called a "hero"! I, too, stumbled onto this - what an amazing story & truly inspiring.I'd like to believe we have learned from the past, but my heart tells me we haven't. We are "our brother's keepers" & I still believe in the human race! G-d bless you, Jolanta. Each of us would like to feel we could do something similar under those circumstances. However, we would bury our heads in sand-I am in awe of Jolanta. What an incredible story. It truly is amazing that humanity can go through events like this and seemingly learn nothing. People like Jolanta deserve so much praise and applause. It is not why they did what they did, but that makes it all the more commendable. Thank you for this. I am so glad I stumbled upon this. What a touching story. She is a true hero of this world. A lovely true story, shame more of these kinds of stories aren't told more often and I don't mean just saving jews but the other untold stories that must have occured during that hateful period of history. What a wonderful story. In my mind she would have been the absolute winner of the Nobel Peace Prize. I can't imagine that Al Gore has experienced any of life's horrors, and sacrificed nothing towards the goal of peace as compared to this lady. God bless her - I'm sure He will. And Al Gore won the NP???? Her story brings tears to my eyes. This is the kind of person that would do it all over again if she had to without thinking twice. She didn't do this to gain political or social standing, she did it becuase it was the right thing to do. I can't get over the fact that a woman like this, that did SO much came in behind Al Gore.....Dont get me started on him! Nazi incursions into Europe are still with us! A wonderful person, an amazing story! This is a very touching and wonderful story. Has a film been made about this great hero of WW2? My husband remembers to have seen one, director was Andrew Wadja. He does not remember it very clearly.If there is not a film about her, there should be. And she really would deserve the Nobel Peace Prize, and a great recognition for her wonderful mission of saving children from the Holocaust!The world needs more people like her, but there are so few! Although im only a child, my father sent me this link. I sat here for about five minutes staring at her picture and iv never imagined someone so devoted to good! Its completly unbelievable! Its amazing and unpredictable! May she live a long and happy life! The statement that many Poles sided with the Nazis really has no place in this article. Statements such as these can't be supported and all they do is breed hatred as one commentator expressed in general against Poles he knows nothing about. There were more Polish heroes no one heard about - not because the Communist government was anti-Semitic, but because they were against the Polish citizens of all backgrounds who rejected them. The Communists sought to downplay the heroism of the Poles and to undermine the Polish image. The communist government used any tactic to diminish support for a free Poland and one tactic was to paint or portray Poles as anti-Semitic and downplay any positive things that were done by Poles. Unfortunately, our media swallowed whatever the Soviets said because they did so much to defeat Nazi Germany and their crimes were forgotten and overlooked. Now that Poland is free you are finding things out like what Irena Sendler did. Find out about Henry Slawik, as well. Pope John Paul II did so much for Catholic-Jewish relations and he was Polish- a product of Polish Catholicism, he was elevated and loved by Polish Catholics. Why the casually unnecessarily hurtful and not necessarily true stereotypical comments about Poles. Irina Sendler was a wonderful person!!!!!!! Unfortunately the most of the people were not in resistance during 1933-1945. And now it is the same, it is going more and more bad in Germany!!!!!!! The most of the people, not only in Germany, do not like the fight in opposition to the right parties in their countries. When you think what people have done for others during the holocaust you simply think that maybe it was a good deed nothing more. However when you hear about this one lady who risked everything for these children you think of it as being incredible. She wasn't Jewish but she wanted help us and that in itself is incredible but then when she was dicovered she still didn't say a word. Even though she carries those injuries today and she was beaten she didn't reveal one thing it can't get more amazing than that. I have only one concern which is why she is having regrets about not doing enough she did a fantastic thing to the extent where it couldn't be possible for her do more. Infact if she thinks she could of done more than I would want to know what. She is a great human. I don't know she saved that many children but she needs to realise for every child she saved she saved generations worth of children. Irena Sendler is a saint. By saving 2,500 Jewish children from almost certain death, Irena Sendler has given us the gift of many times that number of Jewish souls, in the form of those children's children and grandchildren. This, despite being unable to locate about 500 of those whom she rescued. It required unimaginable courage to protect the identities of the children and the heroic families sheltering them, from the German beasts who would stop at nothing in their efforts to slaughter all of Europe's Jews. Irena Sendler, you transcend in grace and humanity, many of those who have been awarded the Nobel Peace Prize. To suffer such torture, yet not betray your "children" and their protectors, shows unbelievable heroism, and is the highest respect you could have shown to your wonderful father, may his soul rest in peace. And may G-d bless you with long and happy years. I kiss your hand. What Mrs. Sendler did, in saving so many children during WW11, was a real mitzvah. Not many others, neither man or woman, had the heart, nerves, and intelligence to do this. Many others in Poland didn't like Jews & didn't care. I wish there were more people like her then and now. There are 100's of old Jews in Russia, rotting away, not getting the pensions they deserve & living in squalor. There are Jews in Iran, Iraq and other hate filled countries that make life miserable for their Jews. Mrs. Sendler is an amazing woman; I wish I could meet her in personn. I hope that this wonderfull lady is being honored in the YAD VASHEM in Israel as one of the "CHASIDAY- HA-UMAH". Thank you for your love for children. I hope you wrote a book to save for the new generations. Your brave humanitarian instincts during a time of such evil are applauded and will always be remembered. Thank You. From one grandmother who was born in a displased persons camp in Cyprus, and another who survived the Auschwitz death camps have come so many beautiful children and grandchildren. Is a shame Ahamenijahd will not look to recognize fact and makes a mockery of human suffering. You and others like you have rekindled my passion for learning more about the holocaust and related events. This summer my wife and I visited the Holocaust Museum in DC, and I went in figuring to be bored, thinking I was inured to all of this when I was young, but I realized I never really will be. This woman's history is a wonderful story of that terrible time. Thanks again. No honour can be great enough to show our respect to this wonderful lady. I cannot express my deep respect properly for her.To my opinion she is the angel whom God sent during the hour of need.Because of people like her, one can have faith on Almighty and hence on humanity. I cannot show respect to her but the greatest reverence.Now we need such wonderful persons who can change the world from our sorrowful state. my sister was doing a report on the holocaust and i became interested as i read what mt mom printed off the internet when she was done i got on and done research of my own i ran across this article and it inspired me mainly because im an american child whose parents where in the army and was born in germany also because i love kids this is a great story! Irena is absolutely amazing! She is a hero! And I hope that those missing children are ok, but Irena deserves more honor than anyone can imagine! I wonder whether some of the children Irena saved were nieces and nephews of my Mother. Reading about this wonderful person, brought tears to my eyes. If only everyone would have been like she is, there would have been no Holocaust. Is there any way I can find out the names of the children still missing? I would appreciate a reply. I know that my Mother's family were murdered in Treblinka and they had many young children. Could it be possible that maybe one or more could have been saved? We've often wondered that. This is the first time I have heard about this wonderful woman. My mother's sister and parents were put in the Warsaw Ghetto in 1939. My mother and her brother escaped to USA and was hoping to bring the parents and sister later. They all had papers to enter the country USA. I thought everyone parished not knowing she helped the children escaped. Is is possible to get the names to see if she was on the list. The parents died my mother found out but no word about the sister. Her name was Hannah Blachman and was from Gera, Germany with Polish passport because the parents were born in Poland. Hope someone will respond to me. Thank you. Unbelievable. Most of us like to believe that if we were in a similar situation, we would act in the same manner. The fact is the vast majority of us would not. It has been said that only for the merit of a handful of truly rightous individuals, God sustains the entire world. I dont know if that is true, but I do know that men and women like Irene are the only reason I have any hope whatsoever for our species. It is to our great shame that we idolize and revere Britney Spears and Paris Hilton, and ignore the unfathomable strength and sacrifice of heroines and heroes such as these. There were many Christian Europeans in various Countries who aided the Jews at the risk of their own lives. I was evacuated in Britain with some of these children. Of couse she diserves the Peace Nobel Prize . Of couse she diserves the Nobel Peace Prize, also we should know more about all what she did with these children, maybe a movie picture, or a documentary, visits to schools around the worls so that our children know about this heroine woman,and take advantage that she is alive. Her story should be in the history books that are taught in the schools! She deserves the Nobel Peace Prize! This is a well-written and wonderfully heartwarming story of courage and tenacity. This woman gets my deepest praise! It is absolutely so moving to read the story of this extraordinary woman..
have been created in G-d's image. If I could have only an ounce of her courage I would be eterally gratful! I believe that Irena Sendler is the bravest woman I have ever heard of. If a movie is ever made, I propose its title be "Children of the Jar." What a beautiful woman Irena is. The love of HaShem beams from her face. Her love for the Jew has been rewarded with a long life. Look at that face! It must be that of angel. I seethe with anger and hatred towards the Pole who so cowardly turned their backs on their neighbors who were Jewish. They wanted them gone so they could steal what they could. So it has been throughout history. Welcome the Jews, permit them to prosper, then get rid of them so their wealth can be stolen from them. Of course, there were many more Jews who were poor. Why the world doesn't understand that we have the just as much poverty as any group of people is beyond my way of thinking. Of course there is the old Jew-hating bit about all Jews being rich. When I was homeless and out on the streets myself a former "friend" of mine say, "You can't be homeless and broke, Jews are rich." In any event, I know that many Christians took their own lives in their hands by hiding Jews of all ages and for that I am eternally grateful. If my grandparents hadn't had the foresight to see and understand what was coming, I'd have been one of the children that might have needed rescuing from Irena. HaShem has blessed her with a long life; her name should go down in history as a saint. If anyone deserves the Peace Prize, it is she. This woman should be honored. Hollywood is so busy with crass remakes of old movies that people like this are ignored. We should be watching stories like hers on television instead of the non-stop flow of blow by blow information of spoiled rich girls who are wasting their lives and our time! Thank you for featuring Irena - Jolanta. This is a really moving story of a living heroine. God Bless her, the children she saved, and the whole Jewish nation worldwide! the woman should be "sainted" by the church. honestly, as great as she is, may G-d bless her, the answer to today's islamo-nazis is to destroy them. they do not and will not understand "kindness and tolerance". would the nazis ever understand it? no. 'neither will the nazis of today: the islamists, who, by the way, admire what the nazis did. arafat's uncle husseini was the british-appointed mufti of jerusalem who was buddies with the leader of the nazis. although this piece is very important, don't let it cloud your vision of what is needed today to save israel and the world from the current islamo-nazi threat. Is Sendler a Polish name? Sounds like a pure Jewish one to me. Bet this great lady has some Jewish blood. What an amazing human being--Irena Sendler, "Jolanta", a great heroine with huge courage. I am forwarding this magnificent story to others. There are no words to describe what a hero you are. If I had been born just a few years earlier in my grandfather's native land,it might have been me you wouod have rescuing. Thank you for standing up against a great evil in the world,and saying,NO. You're heroism is a testament to all of us. I wish you G-D speed. How do you thank someone like this? How do you thank someone like Mrs. Sendler. She restores your faith in humanity. She risked her life to save others & was tortured for it. Is there someway of contacting her to say thank you? May she have every blessing. If we hold close her example, she will save thousands more. No words can describe the DEVINE MIRACLE that this woman is / was ! This is one of the most wonderfully powerful stories I have EVER read! I praise this woman for her courage, love, fearlessness, and selfless-ness to save these children and help all others in their time of desperate need! God, thank you for sending the world this wonderful angel. wow amazing story!!! and mrs.sendler is a real hero!!! lATELY, I HEARD DISTURBING STORIES OF BETRAYAL IN POLAND AND WAS VERY UPSET... THIS STORY AND THE POLES WHO HELPED MRS. SENDER..SHOULD BE THANKED AND IMMEMORIALISED.. PERHAPS IN POLAND AND ISRAEL...BY SOME KIND OF MONUMENT..!!??? There should be a biography written on her life, at least. Mrs. Sendler is a hero. It's too bad such an atrocity had to occur and her heroism necessary. The people of our world need to take the time to look at the past and not history repeat itself, again. Wow- thank you so much for telling us about this great heroine. I don't know what words to say. I regret that this is the first time learning about this remarkable,brave woman. I am moved to tears in reading how she risked her lives several times and endured tremendous strength in order to save the lives of Jewish children. Though it is horribly sad that many were lost to the Jewish people, Irena Sendler saved their lives- and who knows- hopefully G-d willing the children that she saved will one day realize who they truly are as Jews and will return to their people once again. It also saddens me that her story and her remarkable heroism has gone virtually unrecognized by the world. I hope she wins the Nobel Peace Prize and that every child learns her story, and are inspired to become better people because of it. You can look at her face now and see the blessing of the Lord upon it. There are few in the world who are brave in the valley of the shadow of death. I hope and pray if and when the time comes i can do what is right even tho i know what harrow could happen to me because of it. God said he would bless those that bless the Jew and curse those that curse them. May God bless her with eternal life in heaven. God Bless you, Ms. Sendler! You are woman who is beyond brave, a true heroine. May you be remembered for your lifesaving work for all time! First that she rescued so many children. Second, that this story never appeared before. She is one outstanding lady ! I'm familiar with Holocaust stories but never heard of her. Wonderful that she finally has recognition. I am very happy to read this unique story about Jolantas life saving project in Warsaw. To save one jew is to save the world. What she did was marvellous! Will Irena be awarded the Nobel prize? The prove of God's kind of love. This story is one that should spread across all ages.It teaches love and passion for humanity,above all it proves the existences of God and the power of His love towards humanity.Never doubt it,God will stop at nothing to prove His love for humanity and He can use any one that is available.